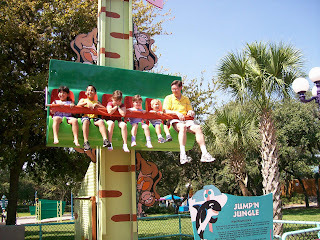 The Sea World children's park included a few kid-size carnival rides. Dawson rode each and every one, some of them several times. He seems to enjoy a good thrill. Riding the egg ferris wheel. 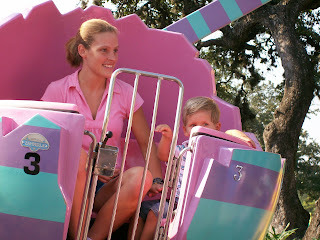 This was Dawson's favorite ride. It slowly goes up and then quickly drops you.